Put down the Pillsbury! 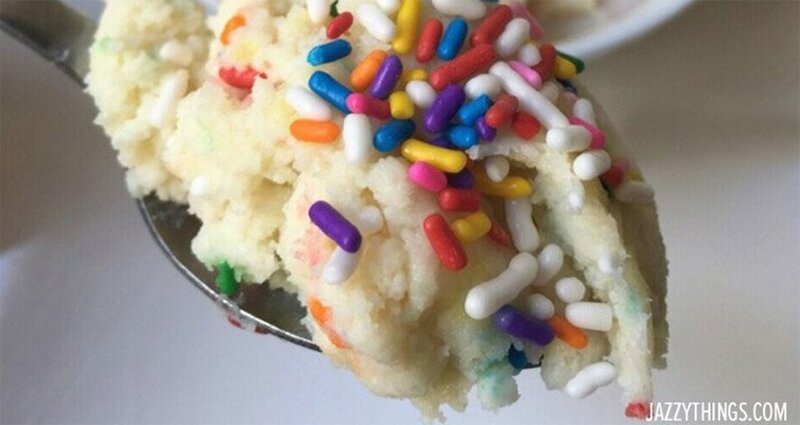 You no longer have to sneak bites of raw cookie dough from the tube. With this simple, one-step recipe, you can enjoy high-protein cookie dough in just a couple of minutes. Combine all ingredients, adding sprinkles last. Adjust amount of coconut flour to achieve dough-like consistency. Eat immediately, or store in refrigerator.